Football In Deep Thought: Is it Benfica’s Title to Lose? A special note - this blog post is dedicated to the memory of the greatest ever Benfica player that ever lived and is likely to ever kick a ball in the famous red shirt. Descansa em paz, Rei. 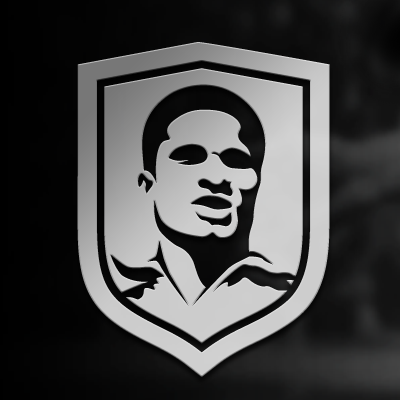 Obrigado, Eusebio. Permit me a bit of fiction. It’s the week of the Clássico. 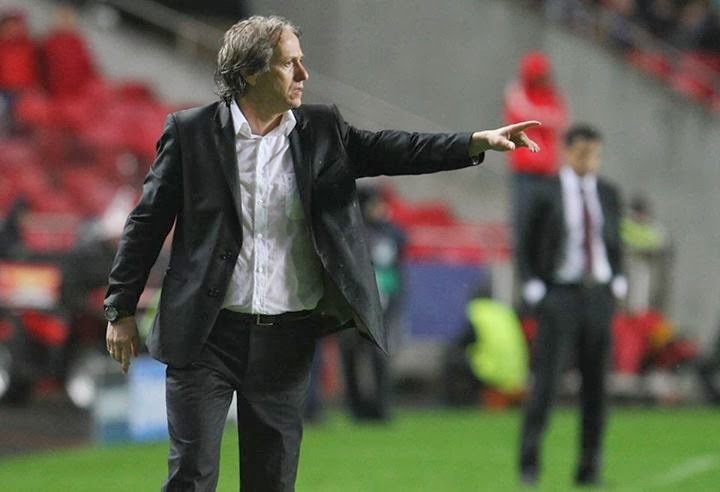 Benfica coach, Jorge Jesus, casts a contemplative glance at the Liga table at near mid-point in the current 2013-14 season. All the big 3 on 33 points, separated mainly by the goals of Fredy Montero and Jackson Martinez. All 3 unbeaten at home. One has a new coach, extremely talented and somewhat liberated by the opportunity to use a talented crop of youngsters, ready to bloom into focus as they weave up new hopes in every Sportinguista in the planet. The defending champions also have a new coach, brooding furiously over his tactical adjustments, slightly unsettled that a failure to qualify from a Champions League group, combined with lacking performances and a sobering league campaign have brought pressure that he could have only dreamed of in his previous life at Paços de Ferreira. Jorge Jesus ponders on the 3rd team in that trio – they are his responsibility. A team likely still recovering from 3 of the biggest gut wrenching punches a football team could ever experience. 3 trophies up in smoke in the matter of 3 weeks. A magnificent season’s performance undermined by bad luck, bad tactics, bad form and Hungarian curses. He casts his mind back to previous title races, like that of 2006-07, where Benfica ended 3rd, 2 points behind Porto with Sporting sandwiched in-between. Or that of 2004-05, where “boring” Trapattoni’s Benfica topped their table a mere 4 points ahead of Sporting in 3rd. Unlike Fonseca at Porto or Jardim at Sporting, Jorge Jesus doesn’t have the “new coach forgiveness” card, (mind you, it’s debatable if Fonseca has one too). Jorge Jesus didn’t lose the players he anticipated to lose, nor did he lack money and spending to bring in additional talent to empower a stronger squad for a title challenge (even if some of those transfers made little sense). Jorge Jesus faces a tricky race for this season's Liga title. Jorge Jesus contemplates the Liga table again. The Clássico looms. The Benfiquista crowd packs the Luz to capacity. Their singing and passion engulf the stadium. The old man knows. It’s the first time since 2007 that the traditional big 3 of Benfica, Sporting and Porto seem destined for a meaningful title race. The teams resume their Liga fixtures this weekend with the entire top 4 in action against each other. High flyers Estoril host Sporting, while the first Clássico of the new season takes place at the Luz. It’s not hard to see why the Clássico typically takes on such significance. Last season’s Clássico at the Dragão provided a sequence of title drama that Hollywood could never script or execute better than the real life tears of despair felt by a nation of Eagles fans, sharing in the defeated image of an old man on his knees seconds after Kelvin’s winning goal. Yet, even though the 3 sides are locked on 33 points, each team has such a different story to tell. Those stories already provide clues as to who could be crowned champions in May. Sporting are a rejuvenated team this season. After some lean years, Sporting’s resurgence looks impressive this season. There’s obvious affection for a team with young starlets, many of them expected to represent the future of the national team. Strategically, the team has gone back to its – literally – academic roots, with academy graduates like William Carvalho, Adrien Silva and André Martins all playing a part in the most cohesive team in the Liga this season. The key, however, remains the level headed tactical approach of new coach Leonardo Jardim. Jardim’s setup maximizes the potential of the 3 man midfield configuration of Carvalho, Silva and Martins to dominate possession and create plenty of chances for current top scorer Fredy Montero, while rotating extensively between wing-forwards Diego Capel, André Carillo and Wilson Eduardo. The results illustrate the effect – they’re top scorers in the Liga, and they’ve scored 3+ goals in 5 games, including a massive 5-1 win over Arouca. Sporting are also leveraging some obvious advantages that they have over their two more celebrated rivals; the lean years have meant that Jardim is operating under significantly less pressure compared to Jesus (Benfica) and Fonseca (Porto). Sporting have not needed to spread their relatively thin squad over an additional 6 Champions League games. And admittedly, Jardim has the other benefit of inheriting a group of academy players who are familiar with one another, as opposed to one or two starlets to integrate into the team. Sporting’s squad is short on depth though. Striker Slimani looks several levels below cover / additional support for Montero. The midfield trio is hardly supported by equal talent levels beneath them, and this includes former team captain Rinaudo. The celebrated midfield trio also can be light on physicality, which showed extensively in Porto’s 3-1 win over Sporting, and to a lesser extent in Benfica’s 4-3 win in the Taça de Portugal. In defence, Jefferson, Maurício and Marcos Rojo, while solid, are hardly a patch on the superior defensive individual talents at both Benfica and Porto. If not for Jardim’s tactical approach that permits the opportunity for Sporting to dominate the ball, more teams would have already taken advantage of this. Porto are still in the race, but have been unconvincing. Ironically not dissimilar to the much lamented Vitor Pereira, something doesn’t seem completely right with the defending champions and their new coach Paulo Fonseca. The former Paços coach’s squad and tactical tinkering hasn’t seemed to deliver the same effect, even though, save for the disappointment of a Champions League group stage exit, the team is still producing the majority of the results one would expect. But the vulnerabilities are potentially extensive when compared to the robust approach under Pereira. The difference largely seems to be a distinct lack of defensive shape, especially when the team is in defensive transition, a problem which most Benquistas would recognize fairly well under their current coach, given they suffer from similar issues. That’s not to say that Porto is not defensively solid. At times, Fernando Reges has done substantial credit to his nickname (“Octopus”) by covering for the lacking positional sense of his teammates, especially Defour, who has been one of a couple of poor performers. In Danilo, Alex Sandro and Mangala, Porto have 3 of the most technically astute, and skilled defenders in the Liga, all catching the eye of suitors outside of Portugal. As for the frontline, what Varela, Licá, Josué and Quintero lack in absolute quality and consistency, Lucho makes up for in experience and Jackson makes up for in raw ability. There is little doubt though that they miss the influence of João Moutinho through the middle though. His influence as a central foil for buildup play combined with his strong pressing in the opponent’s half is unmatched, and hasn’t been replaced, either through a signing or tactically. It’s these issues that ultimately have made Fonseca’s reign at Porto circumspect. His tactical tinkering have already seemed to calm in the past few fixtures since the fallout of the Champions League exit (no surprise they’ve been unbeaten since) but they still appear a shade of their former selves. With the shadow of André Villas Boas lurking over the club since his sacking at Tottenham, Fonseca could be forgiven for being somewhat apprehensive about his team’s prospects. Sure, Sporting are flying high and Porto have a title to defend, but the majority of the pressure and expectation rests squarely on the shoulders of everyone wearing red in the Estádio da Luz. There are many reasons for this, not least the fact that the club strengthened over the summer, retained all their key players (including some they didn’t expect) and – above all – retained the services of Jorge Jesus as coach. Football theorists and pundits often lament a lack of continuity as one of the key reasons why it takes time for teams to create and sustain long term success, so one can understand why Benfica harbor such expectation. Yet much of it is misplaced. The team’s playing dynamics have been very poor this season. Too many games seem to have been decided by the wizardry of individuals coming up with their own moments of magic, as opposed to a consistent, coached and strategised plan of action on the pitch. Games like the 2-1 win at Gil Vicente. Or the equalizer away at Sporting. Some Benfiquistas feel like they’re watching the same game every week with different shades of individual escape artistry. Yet, it’s clearly obvious that Benfica easily have the most talented and deepest squad in the country. Only Rui Patrício, Jackson Martinez, Fredy Montero, Danilo and Fernando Reges can claim to be superior players in their respective positions. Otherwise, Benfica’s first choice defensive unit, for all its tactical issues is superb, with great depth in players like Silvio and André Almeida. Jorge Jesus has stumbled on a happy accident in applying Rúben Amorim in a 3 man midfield alongside the superb workhorse Enzo Pérez and the growing superstar Nemanja Matic. Going forward, no-one else can boast a forward line deeper and more talented as a group than Markovic, Gaitán, Salvio, Sulejmani, Ola John, Djuricic and Cavaleiro. Lima, Cardozo and Rodrigo may not be the equal of Jackson or Montero, but they’ve scored the goals regardless. And conversely, Benfica have 3 effective striker options, as opposed to one superstar and no depth. Despite all this, one can’t help but watch Benfica and think they’re playing like they’re trying to move through several gears at once – no cohesion, no proper plan. Sometimes it comes together beautifully in performance, like Gil Vicente (5-0 in the Taca), or Olympiakos (0-1 defeat in the Champions League); most of the time, it’s been perceived as scrappy and lucky. Some immediate intriguing observations come out. Naturally, with the Benfica – Porto Clássico to come, the title challenger table is somewhat thin to make a meaningful comparison, although Sporting’s sole defeat of the season thus far came against Porto – make of that what you will. The other 3 “groups” are extremely intriguing. Benfica are perfect against the sides competing for the European places in the table, and their record includes away wins at the superbly coached Estoril and Vitória Guimarães. Porto’s return could worsen since they still need to travel to Guimarães, Nacional and Braga. Sporting’s return should improve against these sides, given that they still need to host Estoril, Guimarães and Braga at the Alvalade. Against the midtable sides, the big 3 are practically neck and neck, with Benfica and Porto only having dropped points due to defeats away at Marítimo and Académica respectively. What’s interesting here is that Benfica have only played 1 of their 5 games against these sides at home – Marítimo, Rio Ave, Setúbal and Académica all visit the Luz in the second half of the season; a critical advantage on Sporting and Porto. It’s the relegation battler group that makes for the most confusing reading. Benfica bizarrely dropped points against Belenenses and Arouca, at home no less, while the other 2 made the most of their games against the weakest sides in the league, especially Sporting with 14 goals in their 4 matches against the bottom 4. Porto’s schedule is the most favourable in the remaining games against these sides, as they still get to host Belenenses, Arouca and Paços, while Sporting and Benfica have to do some travelling. That may not be a bad thing though, as one would expect the relegation battling sides to play more expansively at home in the hope of points, allowing the excellent counter attacking qualities of both Lisbon clubs to profit from this. Is there an obvious winner to Liga 2013-14? As the Clássico approaches, Jorge Jesus’ record comes into further scrutiny. The facts speak for themselves; Benfica have failed to win a Liga Clássico since the solitary 1-0 in Jorge Jesus very first game against the old enemy in 2009. In some ways, the Clássico is prophetic. With the exception of Jorge Jesus’ first season with Benfica, where both sides enjoyed Clássico victories on their home grounds, every season since has seen a share of the points in one match and a win for the resulting league winner in the other. Last season’s dramatic fixture was THE title decider to replace all title deciders in recent memory. But this season is different. It’s a close 3 horse race. And intriguingly, history tells us that in 5 of the last 7 seasons, teams with 10 wins or more by the start of the new year tend to win the league. This year 3 teams have the same number of wins! While Sporting have been in excellent form, and Porto inconsistent, I firmly believe IF they can get their act together, it is without doubt Benfica’s title to lose. The season’s 2nd half schedule is favourable to Benfica. Their squad is deeper, and it looks likely that their key players (especially Matic) may not leave in January due to interested clubs possibly not having enough appetite to pay the large sums of money demanded mid-season for transfers. Porto in particular are at risk of losing Fernando Reges in January for a tidy sum or risk losing him for free in the summer upon contract expiry. Benfica’s good performances can be counted on one hand. They’ve got more gears to find. And for all their luck and poor form, they’ve still managed to accumulate an unbeaten run in domestic football since their opening day defeat to Maritimo, the longest run of its kind in the current Liga season at present. Benfica have also taken 16 of 18 available points in their last 6 matches, vs. 11 of 18 for Porto, so the form book suggests good things for Benfica. This game is winnable. Very winnable. 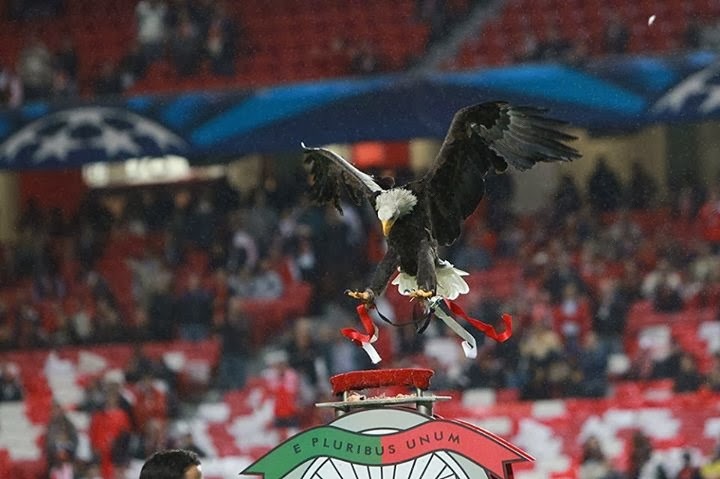 Will the eagle finally rest upon a Liga trophy this season? Jorge Jesus contemplates the Liga table once more. The Clássico is nearly upon us. The Luz shakes from the beating of Benfiquista hearts so violent in their impatient chests. The pitch awaits, poised to receive the 22 gladiators waiting to do battle. The old man knows. This will be close. But it’s his to lose. Great article. I will say though, that I disagree with the conclusion that it's Benfica's title to lose. A number of conclusions can be drawn from the tables you've provided, such as that Benfica has not played well against weaker sides, which points to inconsistency in the way they've played so far (no surprise to anyone). However, rather than focus on the home games vs. mid-table teams in the second half of the season. one could just as easily focus on the fact they've lost more points to relegation battlers, which I'd say is the most concerning table of all the ones you've posted. Sure they'll likely do better at the Luz, but they should be beating these relegation strugglers handily with the squad they have. The fact they haven't makes me really doubt the conclusion you've drawn. A team like Sporting for example, may lack the physicality to play against Benfica and Porto but they've been doing exactly what a winning team is expected to do, beat up on the little guys, which will give them a shot of winning even if they can't beat Benfica or Porto, so long as these two keep dropping points to mid-table and relegation teams.